Appcito, a cloud application infrastructure company, delivers on the promise of the cloud by transforming how cloud applications are deployed and operated. 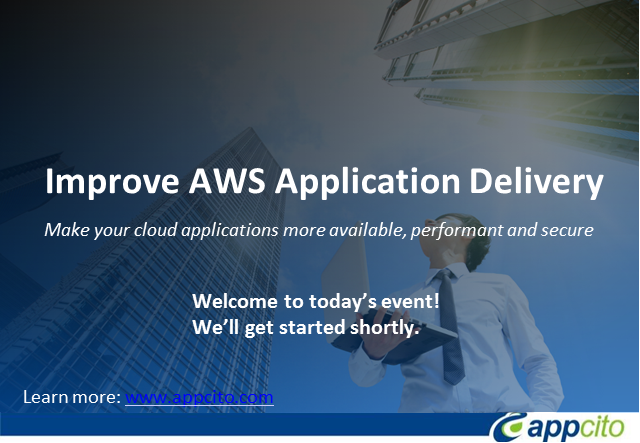 Appcito’s cloud-native, subscription-based, easy-to-deploy Cloud Application Front-End (CAFE) service empowers application teams to deliver high-performance, available, secure applications with continuous deployment. By providing end users with more rewarding application experiences, CAFE enables application owners to attain greater business agility, cost savings and competitive advantage. How are you going to make your cloud applications more available, performant and secure in 2015? Cloud application delivery is evolving fast, and this is a good time for you to explore the options for improving your applications and infrastructure. - Taking a unified approach to cloud load balancing, web application firewall, performance, insights and more.